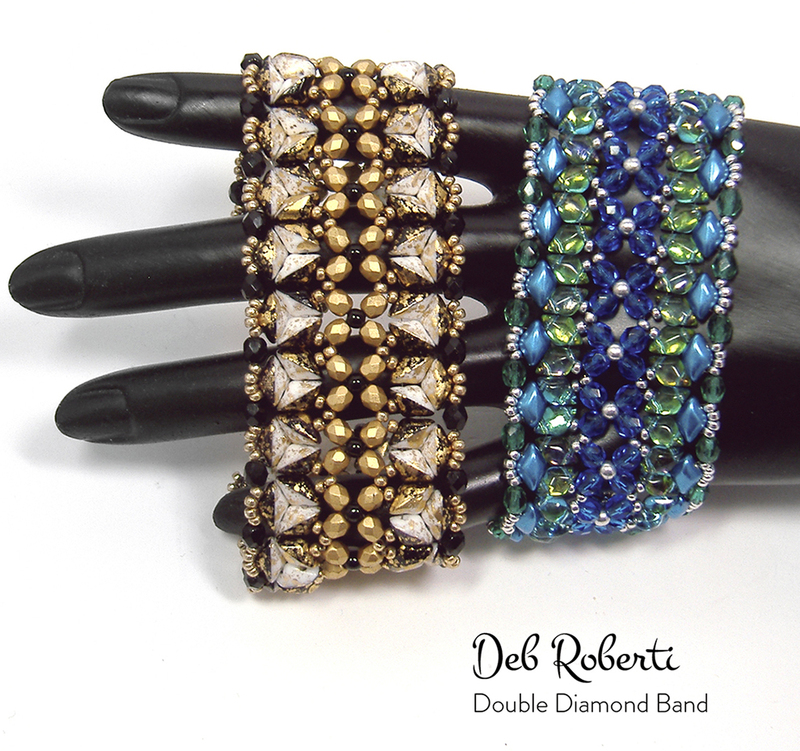 The GemDuo/DiamonDuo version of my Color Play Bands pattern! Use size 11/0 Miyuki rocaille seed beads, 3mm and 4mm beads (round or fire-polished) and Czech two-hole diamond beads (GemDuo or DiamonDuo beads). Full step-by-step directions and illustrations included.